The Casa Guadalajara Happy Hour Social Networking events in December and January have been a great time so we plan to continue having them there every month. 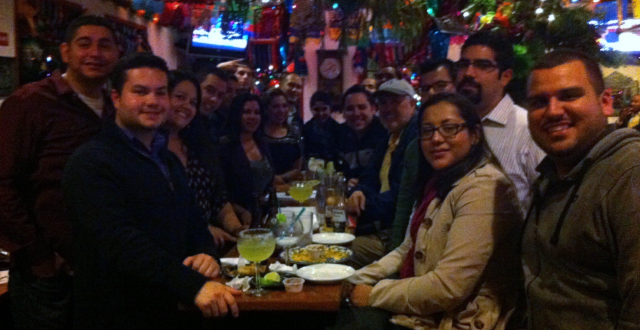 It’s a great way to meet the SHPE SD board members, catch up with old friends, and make new friends! Nonmembers welcome! Tuesday February 19th from 4:00 – 8:00 p.m.
Casa Guadalajara offers free appetizers during happy hour from 4:00-7:00 p.m.